Over the better part of the last decade low water has really not been an issue to deal with when catfishing, especially here in the North Country. 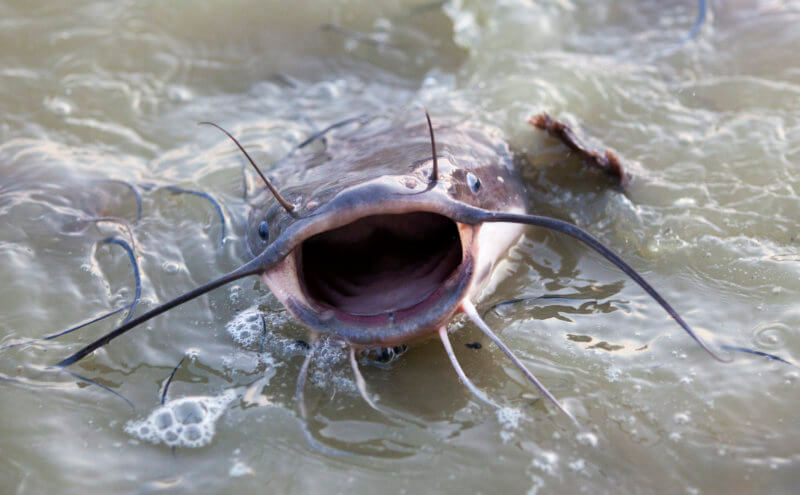 The talk in most catfish circles is anglers wishing the water would go down to get a boat in or once they get a boat in “where are the channel catfish hiding.” Even I can only remember two occasions where low water was any kind of an issue over the past decade. When river levels get down to normal or below normal water levels catching channel cats can be about as easy as it can be. From a boat you simply drive to a hole or snag that looks like it would hold catfish and start fishing. (Ok there is a little more to it than that but let’s keep it simple.) 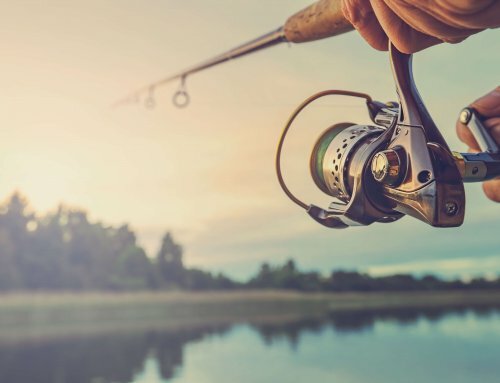 You would typically anchor in front of the hole or snag casting lines into the front and middle of the hole, wait for the fish and move along if you don’t catch any. From shore you would find your favorite spot close to the road or if you are willing to work for it you would walk the bank to find a good spot before setting up for your fishing adventure. Normal levels make fishing easy. Easy to get around and fairly easy to fish where you want to fish. Where do the fish go when the river gets low, really low? When water gets very low the catfish are forced to retreat to deeper water holes or even migrate many miles to find suitable stretches of river to survive and feed. If you study fish at all you know that oxygen in the water is a necessity. Channel cats thrive in water with good oxygen levels and food. Faster moving water or deeper, cooler water provide the locations that catfish like the best for both comfort and survival. These areas also tend to provide optimal conditions for baitfish and other food making them the perfect locations to look for channel cats during low water conditions. When the water is low, in some cases a river still has enough of a channel to run boats from spot to spot. In some rivers a jet or tunnel hull boat is required. If you don’t have one some good old fashioned foot work pushing or floating a boat over sand bars and through the really low water may be required. With a little river research you can usually find a small channel to run in that extends between deeper holes. These runs and holes should be holding spots for catfish. If you can find any visible current on a stump, rock or back of a sandbar those would be spots to look at to hold a catfish. In 2008 we were facing some low water and I was under the gun to find one last big fish to finish up shooting a TV show. We fished hard all day in low water. Finally running out of patience I had one last long shot idea. I would make a 10 mile run downstream, hoping that I could remember all the sandbars and really shallow spots along the way. We took our time and eventually got to the spot I was thinking of. It was a large hole (about 24 feet deep) with good current running in. We set up on the front of the hole and hoped for the best. The sun was starting to set and we still needed to make sure we had enough light to navigate back to the landing. With just a few seconds left before we absolutely had to leave the area, a rod bent and a beautiful trophy channel was caught on film completing the show in style. Smaller rivers can put you in a predicament forcing you to fish on foot. This may not be the worst thing in the world as most people simply won’t put forth the effort to walk the banks miles carrying gear. Putting in the effort to walk in to find the fishing spots can be met with huge rewards. The small rivers will have deeper pools that will bottle up the fish. All you have to do once you find them is cast in and wait. If you don’t have success in a few moments simply walk to the next hole. Low water can provide the tale of two rivers if there is a dam involved. On one hand you have the water above the dam, which is normally maintained at a deeper level making boating and movement within the river much easier. The initial thought is easier boating and getting to spots will make catching catfish much easier. While this is true at a certain point of very low flow the river above the dam may seem to stop flowing and almost cause a lake effect. When this happens, channel cats that normally tend to congregate in holes and run break lines and troughs between holes can find themselves with virtually no barriers to movement. This is a time more than any to keep fresh bait in the water and stay on the move. There is nothing holding the fish to a spot so there should also be nothing holding you to a spot either. This is a time when you must actively search out spots where flow is constricted and actually creating spots of increased current. Channel cats will seek out this current to feed. If finding visible current flow is nearly impossible and staying on the move with the anchor is not a good option it might be time to drift over the holes in the river trying to find the active fish. One more thing to consider is seasonal movements. When water levels recede and get lower throughout a season, channel cats will tend to move downstream in search of food. Obviously if you are fishing on the high side of a dam you know that they will run into the dam and not be able to travel further. Just above the dam can be a great place as it is stopping the fish movement and there is normally a deep pool formed above a dam creating a great place to rest and feed for the catfish. I tend to look for current locations in my fishing and stay on the move. Fishing the top side of the dam is one of my favorite locations to find current and deeper water. It just works best for me and my comfort level. 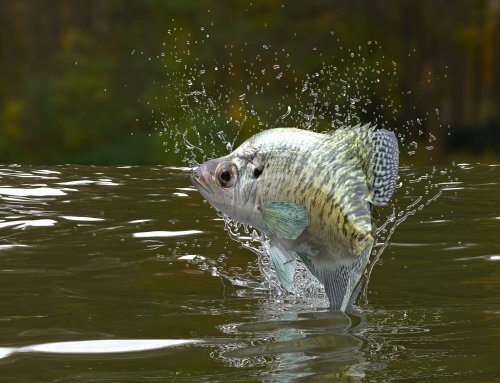 Drifting over a mud bottom river that has been flood ravaged over the years makes for a snaggy mess while drifting but on many rivers this may be a great idea to find and catch the active fish in an area. The area below a dam can be a difficult area to get a boat in during low water situations because these areas also tend to be the most natural areas of a river, hence creating holes that are even more visible and current areas for fish to move and stack up. These natural areas are much easier to find visible running current over structure or small channels running into the heads of river holes. 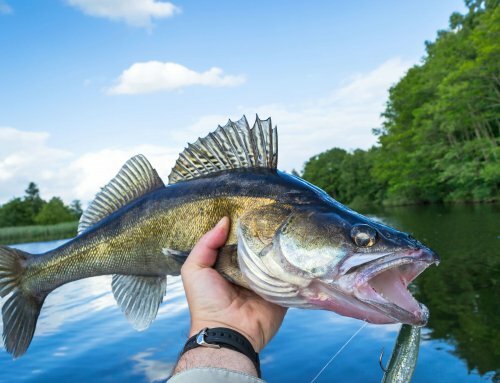 If you can get a boat to some of the hard to reach areas, especially when others won’t you may find yourself in honey holes that hold fish on a regular basis and get virtually no pressure. I consider the downstream area of our river my home stretch. I am fortunate to have a boat that can get places where others can’t and my knowledge of the river helps for navigation. When the water gets low and others begin to lose their ability to make the longer runs, I can still get past the sketchy spots and into the prime, virtually unfished waters. These waters are a series of sandbars, fast water runs, and deep holding holes. Many rivers are even to shallow for a boat to make moving between spots possible. It is a lot of work but utilizing the old ankle express can be the ticket. With a little research and the desire to catch fish you can walk the banks to find the spots. If you do some research you can maybe gain private access to locations and drive closer to them by the road before walking in. The willingness to go the extra mile (literally) can really pay off in this situation. By now you should have learned that when the river levels are low location and willingness to work are the keys to catching more catfish. 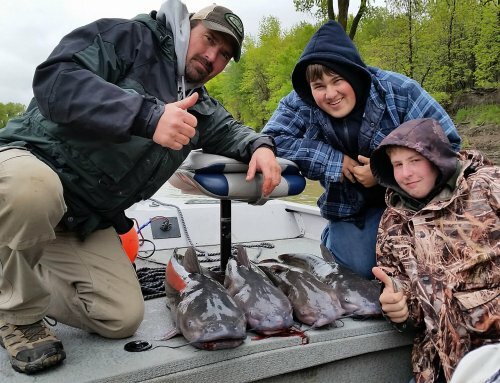 Looking for the critical catfish location with deeper water, visible current, and off the beaten path will lead to the success of catching river channel catfish. 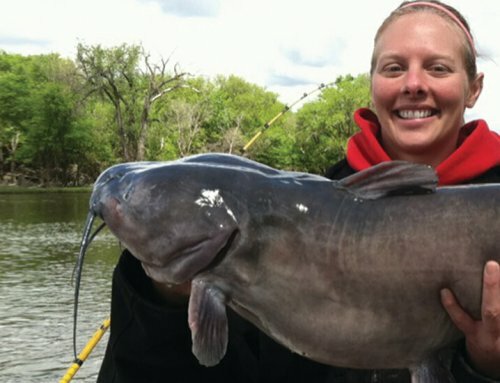 Once you locate the spots that hold catfish simply do what you do as far as gear and bait. Stay on the move, keep the bait fresh and the channel cats will pay you back. Like in anything we do in life, the prize will go to the angler who works the hardest.